On September 13, 1994, a young computer engineer from King Mongkut’s University of technology saw the great opportunity of 3D design software after he had been working for three years as a support engineer for UNIX and CAD software on SUN Workstations. He thought that 3D design software would become the most significant tool for engineers in the future. 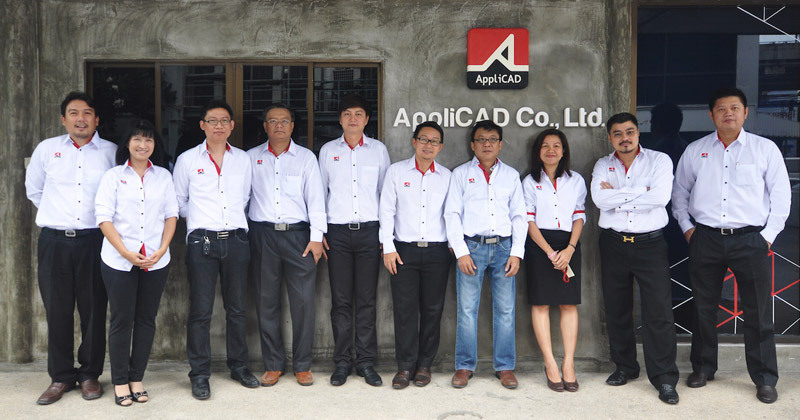 Therefore, he decided to establish Applicad Public Company Limited to be the distributor of AutoCAD, AutoPLANT and especially SolidWorks, which is the leading 3D software for industrial design that meets both the requirements of the engineers and satisfies the customers’ needs. This software also helps the engineers to work faster, more effectively, more accurately and reduces complexity at the same time. He has successfully employed the technology in the working process and has let it be the principle of practice until this very day. 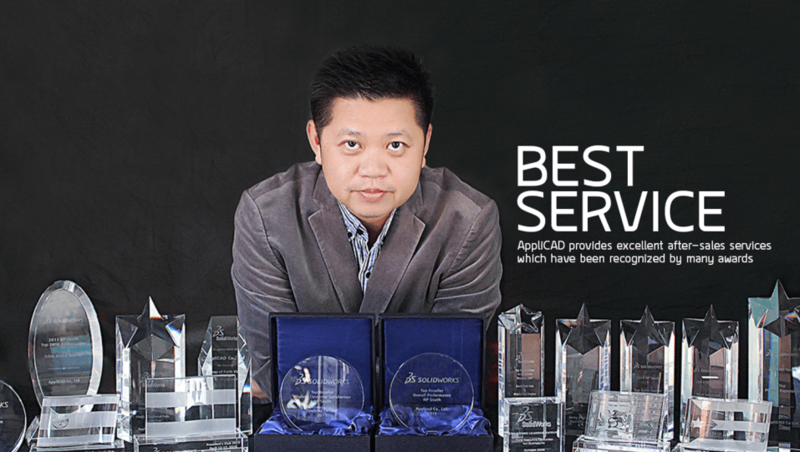 AppliCAD has been a pioneer in the market of 3D design software since 1994. 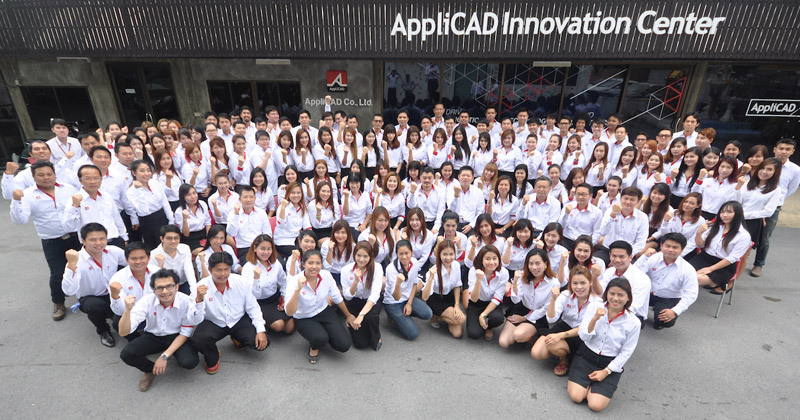 – The first official reseller of SolidWorks in Thailand. – The most certified staff members from abroad. – The company has shown continuous growth for many years. AppliCAD provides excellent after-sales services which have been recognized by many awards. We also deliver privileges to our customers to ensure that they will be able to use our products efficiently. AppliCAD has a one-stop-service as well as other business affiliates that conform to the requirements of the design process and consultation from experts. AppliCAD continuously supports the education sector to ensure that there will be a qualified person to be a part of our customer in the future. All staff members of AppliCAD have been cultivated hospitality which is the core of our company. We also give priority to personal development of our staff members to continuously improve our services.